Is 200 miles enough range? The 2020 Mercedes-Benz EQC goes on sale in the U.S. in early 2020. The 2019 Mercedes-Benz EQC is an all-electric crossover that's the right powertrain in the right body style for new shoppers—is it at the right time? 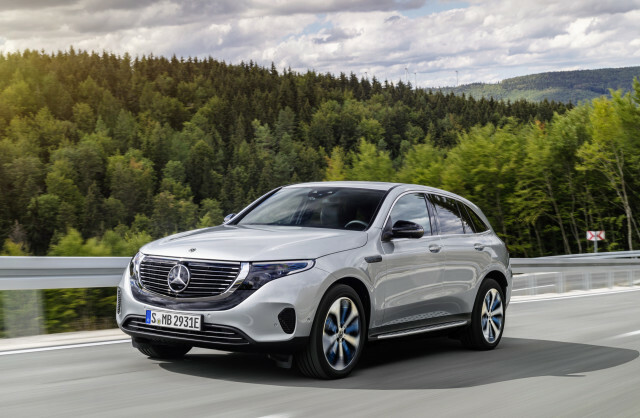 The all-electric 2020 Mercedes-Benz EQC crossover skips past anticipation for the automaker's biggest push into zero-emissions vehicles and heads straight into integration. Kind of. The EQC is due to arrive in 2020, nearly two years behind its chief competitors. The EQC eschews a techno-heavy, futuristic look and assimilates into the automaker's luxury lineup with grace and subtlety—and silence. 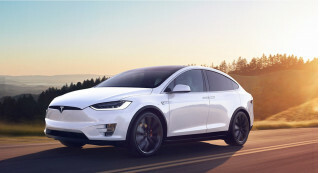 It won't arrive in the U.S. until sometime after 2020—long after rivals have already started selling their electric crossovers—with an approximate range of just over 200 miles that's already seemingly behind the 8-ball. Mercedes' bet is on mass appeal in size and shape, presumably without a sky-high price tag, too. The automaker hasn't yet said how much the EQC will cost when it goes on sale, although it's likely to rival the I-Pace's $70,000 entry, before applicable state and federal incentives. 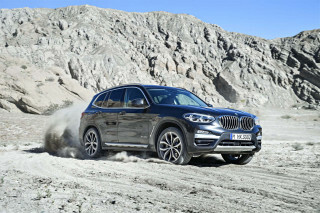 The EQC borrows the same general shape from the GLC-Class with which it shares similar underpinnings, but the details are dramatically different. The EQC's nose is somewhat familiar, but a mostly unbroken strip of LED lights reaches across the nose and atop a lighted three-pointed star. The headlights frame a black, closed grille that serves as the EQC's familiar face on a new powertrain. From the side, the EQC looks related to the GLC crossover and coupe, although its roofline splits the difference between the two. The EQC is roughly 4 inches longer from head to toe, but rides atop the same 113.1-inch wheelbase as the GLC. 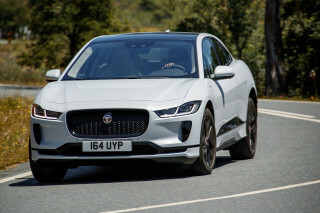 That should be a boon to interior comfort in the EQC, which is unfettered by an internal combustion engine and places its batteries underneath the floor of the crossover. Inside, the EQC is centered on tech, with the automaker's latest MBUX infotainment system dominating the dash with two 10.25-inch screens for instrumentation and entertainment. The EQC wears a varied mix of materials such as leather, wood, and metallic accents, punctuated by louvered accents in the dash and doors. Under the (figurative) hood of the EQC is a pair of electric motors that combines for 402 horsepower and 564 pound-feet of torque. The front motor handles low- to medium-speed acceleration for better efficiency, while the rear motor handles more urgent acceleration for a rear-biased feel. The EQC is equipped with an 80-kwh lithium-ion battery that returns around 200 miles of range—although that figure may change by the time the crossover goes on sale in the U.S. When Mercedes announced the crossover, the automaker quickly revised its initial estimates and said final range may change before it goes on sale. 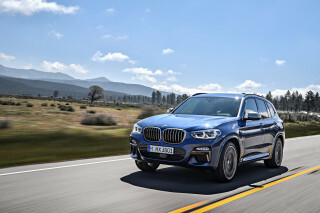 With a motor on each axle, the EQC will be all-wheel drive out of the box, although limited ground clearance for maximum efficiency may mean that the crossover is angled toward better all-weather performance. Mercedes says the EQC can accelerate up to 60 mph in less than 5 seconds. Mercedes offers five drive modes for the EQC with Comfort, Eco, Max Range, Sport, and Individual settings. The crossover also features five levels of braking regen effort that range from automatic to maximum regen, which Mercedes says is aggressive enough for one-pedal driving. The EQC will be equipped with the automaker's latest driver-assist features including adaptive cruise control, active lane control, and automatic emergency braking. Mercedes hasn't yet said if any version of the EQC will be equipped with self-driving hardware. Mercedes hasn't yet announced how much the EQC will cost when it goes on sale in 2020, although the automaker said it will offer the crossover in AMG and Electric Art trim levels with different styling touches. The AMG Line will wear up to 21-inch wheels, while the Electric Art trim will feature interior accents such as rose gold air vents. Mercedes says that the EQC will be equipped with a 7.4-kw onboard charger, for more common Level 2 chargers found in homes, or handle up to 110 kw of charging at fast charging. The EQC can charge up to 80 percent on a properly equipped fast charger in roughly 40 minutes, but it's unclear how long the EQC may take to charge at lower levels. Looking for a different year of the Mercedes-Benz EQC?